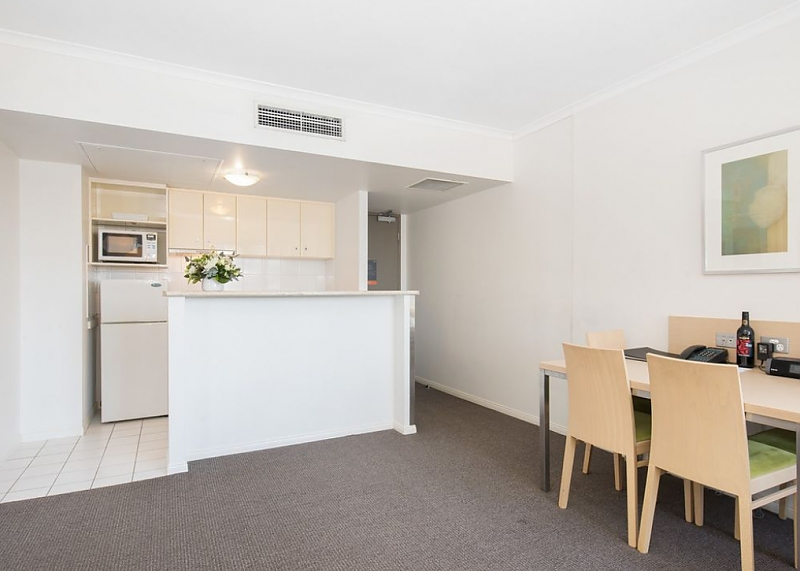 1 bedroom apartment with ensuite bathroom, kitchen and laundary facilities, separate lounge room and study desk. 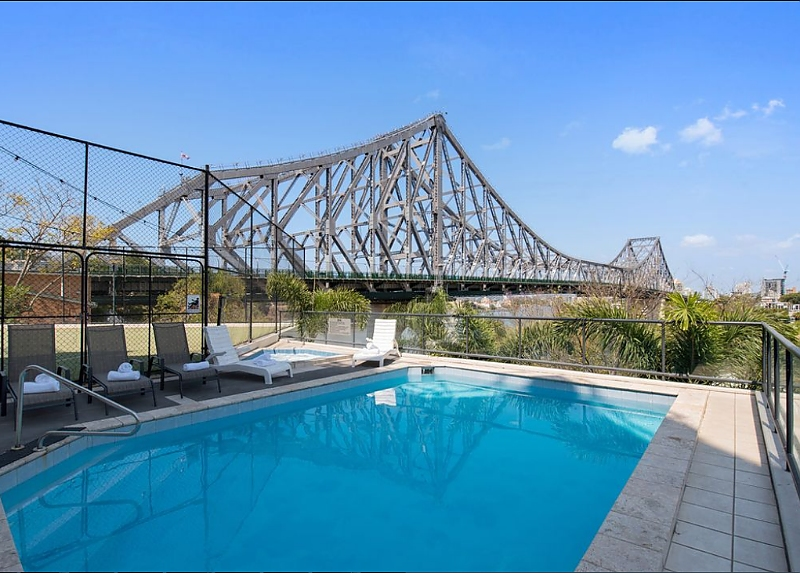 Located a short distance from the newly renovated Howard Smith Wharves on the edge of Brisbane CBD, youll find a tranquil haven where you can relax, refresh and revive, just minutes from restaurants, bars and boutiques. 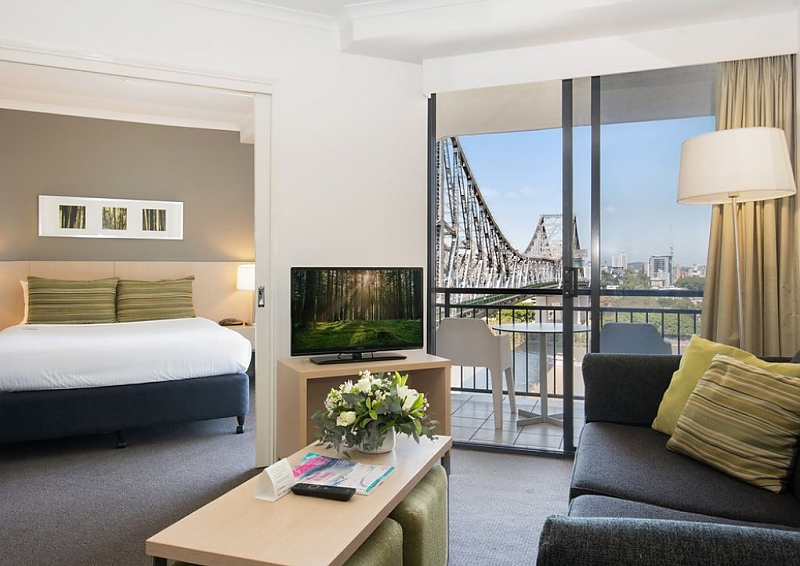 Oakwood Hotel and Apartments Brisbane is the perfect retreat whether youre in town for business or pleasure. Our full-sized Tennis Court is available for those who would like to work up a sweat or you can simply relax in our outdoor pool or spa while enjoying the spectacular view. 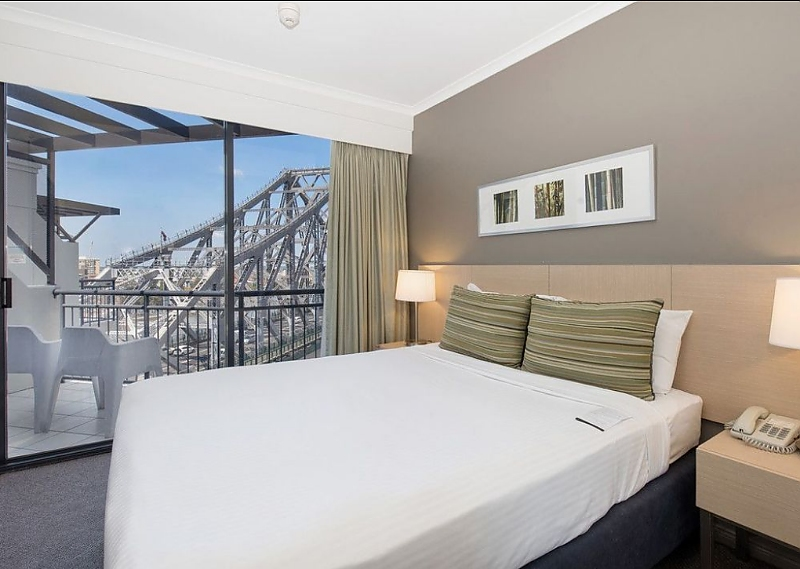 Our 162 studio, one bedroom and two-bedroom rooms boast Brisbane's best river, Story Bridge and skyline views. 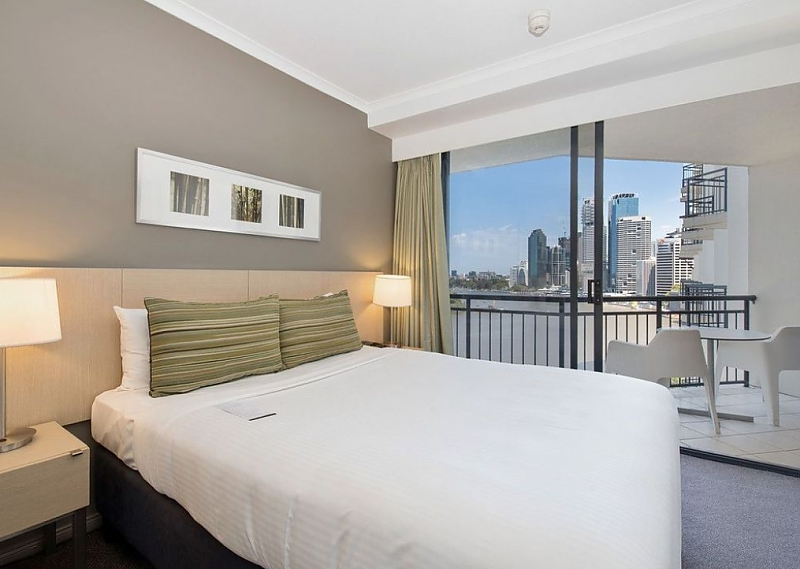 Guests are able to enjoy complimentary Wi-Fi, bottled water daily, Press Reader (over 6000 magazines & newspapers) and 24-hour reception. No.15 Cafe is open daily for breakfast. 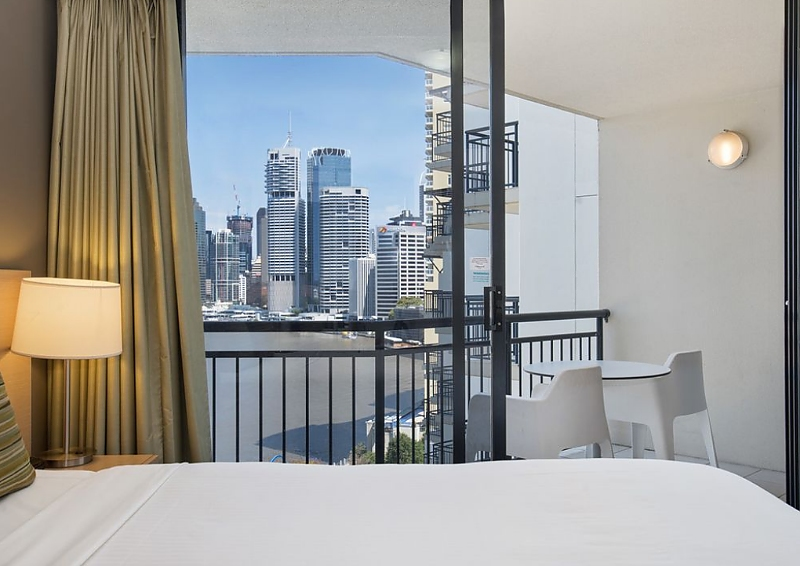 A leisurely stroll along the Brisbane River will find you in the heart of our amazing CBD, full of riverside restaurants, underground bars and the citys best shopping. 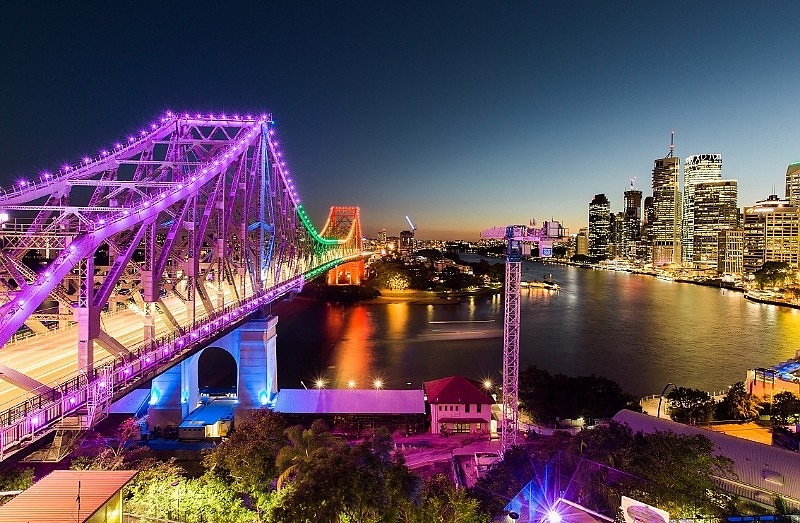 On our other side is Fortitude Valley, home to delicacies from around the world, the coolest independent boutiques and thriving arts and music scene, youre bound to find something for everyone just a short walk from our front door. 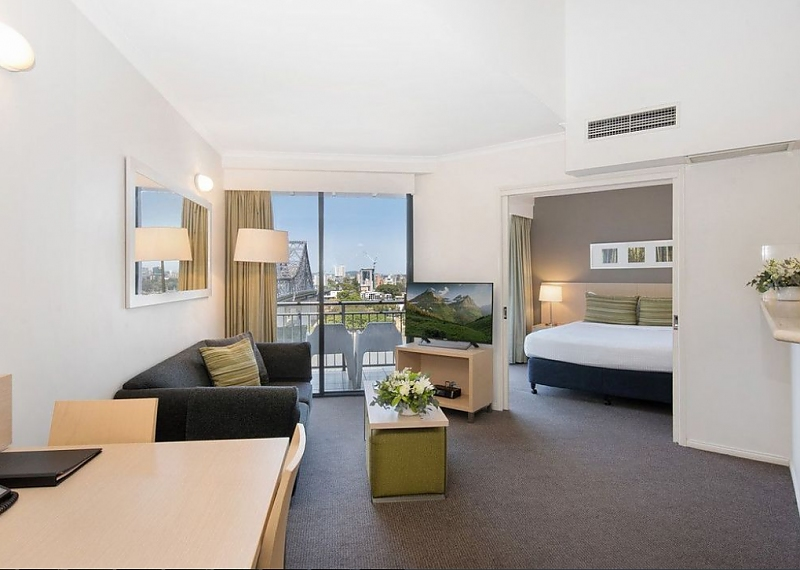 Oakwood Hotel & Apartments, big on service, competitive on price, the perfect river city stay for everyone!